The time has arrived and YOU know we Do this event like no one can ever do. 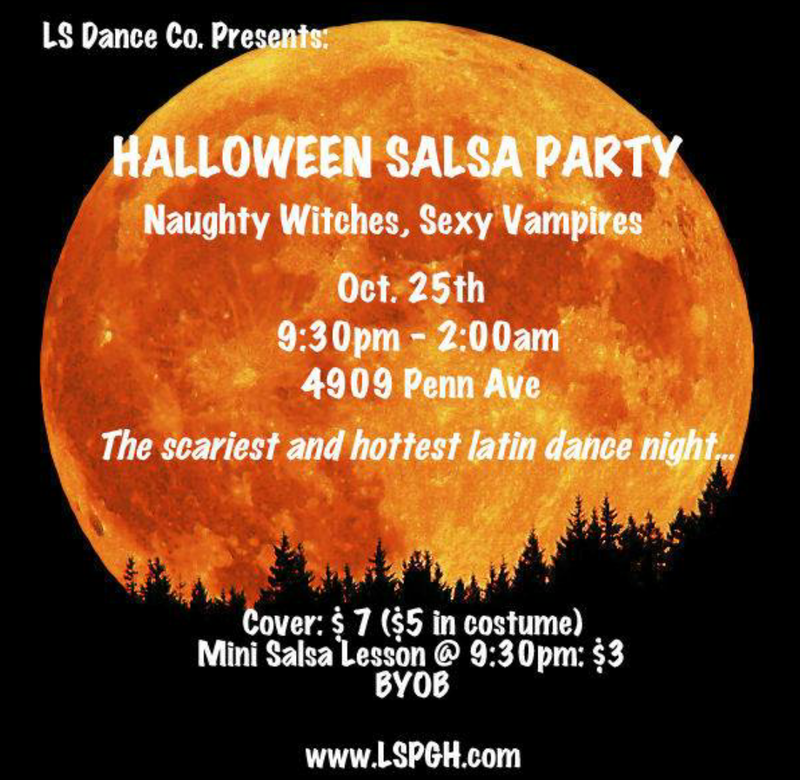 Every year we rock with the best Music, Scary sounds, Halloween themed Salsa, Merengue, Bachata, Cumbia, Mambo, Pachanga, and some other tunes like Reggaeton, 3Ball, and Latin House..
Project73 from Puerto Rico !!! Vj Juan Diego VII !!! You need to Bring a costume, is part of the Event. 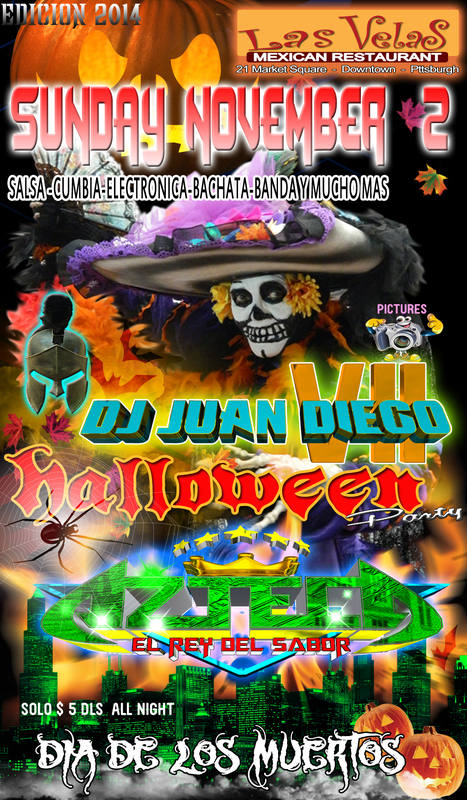 We will be giving out free Candy, Clothes as well as many other surprises by Juan Diego VII. 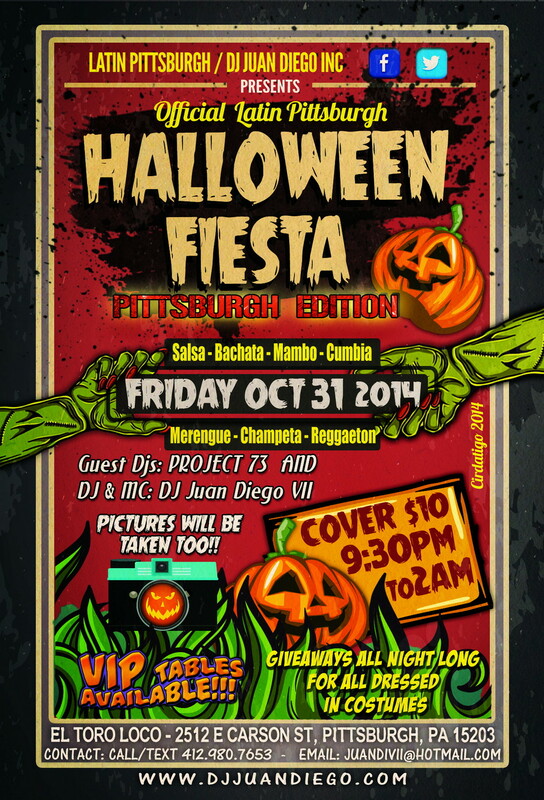 Decorations will surround The Restaurant from the point you enter till the DJ booth, We will try to scare you!!! yess!!! Lights: There will be Strobe Lighting, Black Lights, LED, Haze, Smoke Machine, Possible Bubbles and much more. Free GIVE AWAYS ALL NIGHT LONG!!! Don’t hesitate to ask anything!! !